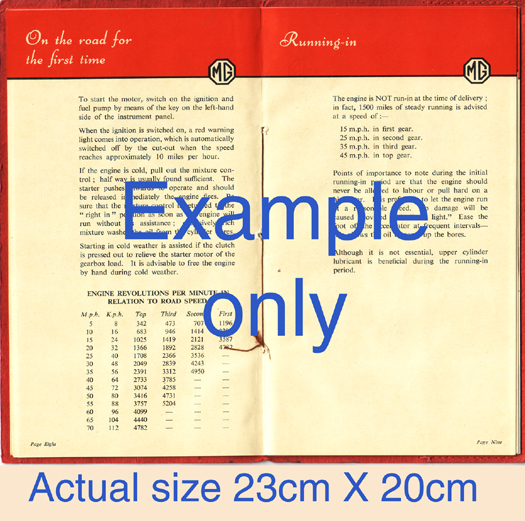 Jack Murray has found two new (genuine this time) contemporary advertisements which can be seen on the Reprinted Advertisements page. A new item has been added to the Collectibles page - a special road sign that was made to celebrate the 50th anniversary of the Birth of the Y. The General Data sheet for the MG YB is also now available from the Technical Data and Information area. Well, we have had over 20,100 visitors now! We are truly amazed by the interest that has been shown in the site, and hope that we can continue to please you! Some very encouraging news from our man in India, Daman Thakore, he has discovered another, and indeed possibly a third YT in India! It will be really excellent to see these cars and have them added to the wonderful array of worldwide Ys and will give us all something to look forward to! Meanwhile, we have launched yet another new page for you - Technical Data and Information. In this suite of pages we will bring you General Data sheets for the MG YA, YT and YB, and wiring diagrams for original "standard" wiring layouts. Please note that these are based on original factory manual information only: they may not necessarily reflect your car as, over the years, your car may have been heavily modified by previous owners. Additionally, for this area, Neil Cairns has very kindly penned a piece for us on the differences between a Y(A) and a YB. Access is via a new button on the menu / navigation bar (7th one down). Finally, we have a new advertisement for "reprinting", or is it an Artist's Impression? We know what we think, and have placed it accordingly in Artist's Impressions, but you judge! Another episode from the Antipodean Adventure has been received. Read their latest news here. While I was checking out something, I came across a very interesting webpage and we are now pleased to add this to our Links page. It was the MG-Rover Netmag site. You may have come across it before, or you may not. However, well worth checking out, even if their webmaster used my Y Type (there are so many better ones you could have chosen, Tony) on the front page of his June 2003 magazine! The long awaited next instalment of the Antipodean Adventure has been sent in by our Travellers. The have been very busy covering some 4,000 miles (6,400 km) since they arrived in the UK! Catch up with them here. Don't forget to let me know about your interest in the proposed new publications announced on the 11 July - if there is insufficient demand, the projects will be still born, so email us please (see link 11 July 2003). A new supplier for you today - for front coil springs for your YA, YT, or YB - please contact Neil Saturn at Coil Springs of Sheffield who will be pleased to supply your needs, see the Links page for full details. A problem was reported regarding downloading the flyer for Warwick 2004 event in Australia - hopefully this has now been fixed, but if not (and you get the error page) please notify us for this and any other broken links. Also, we have a report on the Ripon Old Car Show from Andrew Coulson - for both events, please see the Events page. Another Technical Query has been posted, and our Antipodean travellers report that they are well and are continuing to accept blame for the current heat wave! More from them later on - no doubt. Your mid-month article this month is a bumper special - no not about the chrome bits front and rear, but bumper in terms of size! The astute surfers who regularly cruise around the site may have noticed that it was, inadvertently uploaded earlier this month, but it is now "officially" available for download. It is taken from theAutomobile Engineer of January 1949 and is a major work on the chassis of the Y Type - fascinating reading! Enjoy. There is also a new Technical Query on Ignition coil connections too. Coming later this week, after we have had chance to prepare the files, will be a report on the Ripon Day Out and we have had a short update from our Australian travellers, but more anon. Watch this space. 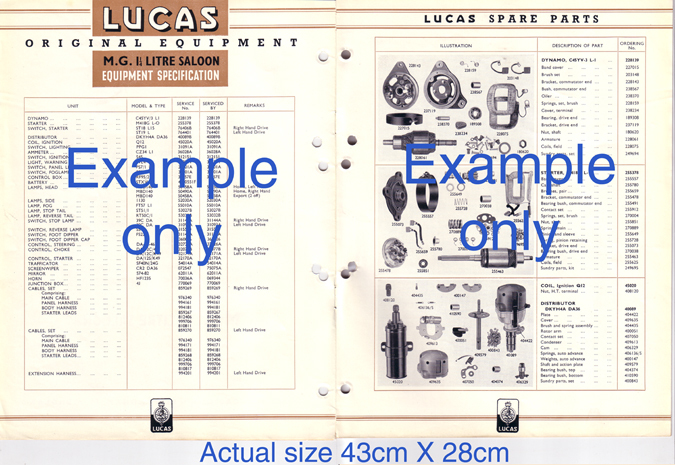 Further to our announcement on the 8 July 2003 below concerning the possibility of making full colour reproduction copies of the "first 500 miles in your MG Series Y" and the Lucas Electrical Equipment booklets for the 1 1/4 Litre Saloon and Tourer, it occurred to us that it would be helpful to post a small sample of each for you to view to assist you in your knowledge of what we are actually offering. Click on the links above for these. 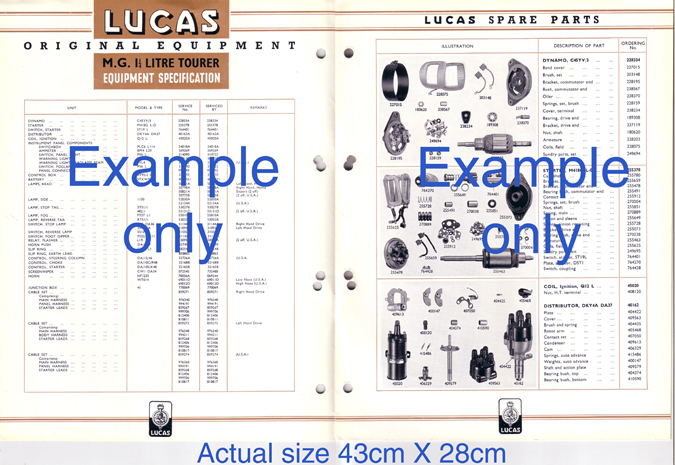 To register your interest in either of these booklets contact the webmaster here and please tell me how many and of which booklet you would be interested in. As there would need to be a fairly substantial outlay to get these printed, we would like to have a gauge of your interest first. For further information, please see the entries on theCollectibles page. Today, please welcome Willem van der Veer with Y 5888 to Ys on Parade. For those of you (and there are clearly a few out there) who cannot get enough "Y" fixes, we have just been informed that MG Enthusiast Magazine (August/September 2003 edition) will be doing a feature on a special bodied racing Y Type so make sure your newsagent gets you a copy by ordering one now. Also, advance planning, but we are pleased to announce the first event for 2004 - in Warwick, Australia and being organised by Tony Slattery. See the Events page. Sadly the Riverside Picnic event (listed in the Safety Fast July 2003) for 27 July has had to be cancelled. By way of compensation, we have a small postcard update from our Antipodean Adventurers to share with everyone! Please also welcome Anton Piller with YT 3214 and YT 4220 toYs on Parade as our 51st and 52nd YTs. June was a very busy month and hopefully now YB 0481 will have a new owner. We look forward to hearing of it and seeing it on Ys on Parade in the near future, meanwhile, please welcome Andrew Avery with YB 0873! Also, to get you going this month we have two new answers to Technical queries for you, and a new Picture of the Month - well two actually!